Blue Lagoon is a must see, must visit place at Malta. Very beautiful with its crystal clear water, rocky hills and not so hidden caves. In the water there is only white sand, so no need for swimming shoes. While you go in deeper, you will see small fishes around you, it’s worth to bring snorkeling equipment with you. The water is not too deep, if you are tall enough you can easily walk to the opposite shore. 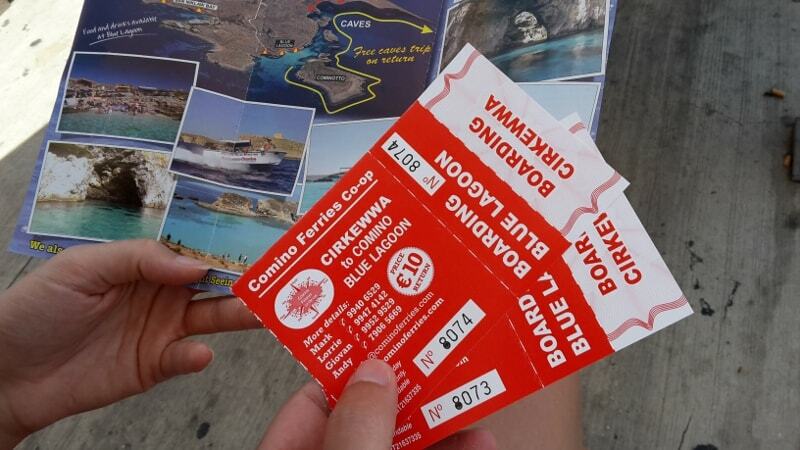 You can choose a boat trip to Comino Blue Lagoon, which is from Cirkewwa about a half hour trip for €10. If you go to Chirkewwa by bus, it will take you just a few steps away from where you can buy the tickets for the boat trip. It’s worth to get there in time and on the weekdays, because the Blue Lagoon can be very crowded, especially at the weekends. We went at 10 am on a weekday and still there were a lot of people already. You will get off from the boat at the same place where you will get on. With Comino Ferries there is a timetable when the boats are depart from the island, but you don’t have to decide in advance when you want to leave the Blue Lagoon, just go there 15 minutes before the boat departs, show your ticket and get on the boat when they say it. When we wanted to leave, there were a lot of people and we worried we won’t be able to get on the boat, but we shouldn’t, they managed it. They send enough boats to get every people back. There are no restaurants at the Blue Lagoon, but close to the arrival / departure place there is a few food stall / buffet. We didn’t try them, but there were lot of sandwiches. Others said they are all reasonably priced. The toilets and changing rooms are at the top of a not too big hill. For healthy people it’s not a problem, but maybe difficult to reach it for people with mobility problems. The toilets didn’t smell so good, but at least there is a place where you can go in needs and there is also clean water to wash your hands. The view of the Blue Lagoon is outstanding from there. If you want to take a nice photo, you should take that walk. There is no shelter at the Blue Lagoon and there is not as much sun umbrella as many people, so if you arrived late, probably you will go up to the rocky hills to find a place to put your things down. There are stairs, but be careful, they can be slippery. On the rocks you might need shoes or slippers. 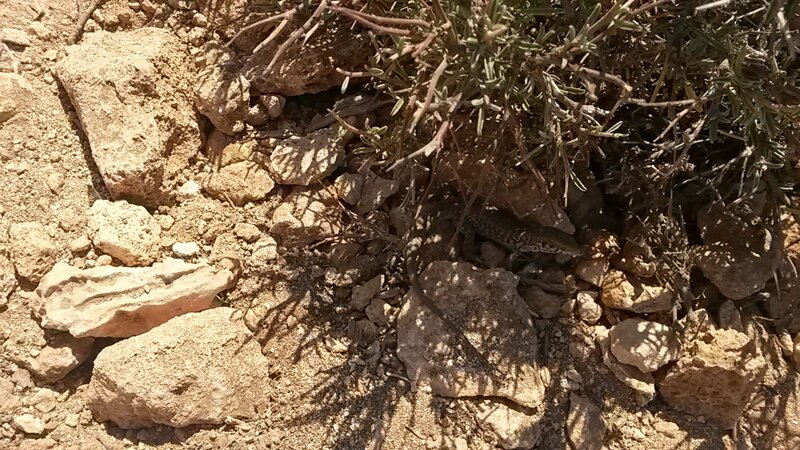 We walked without them and we survived but we felt the sharp stones and small spiky plants, also the hot rocks. Otherwise, if you made it early to find free sun beds, than be prepared with money to pay. There was very hot and very strong sun that time, even under the sun umbrella we felt the sun, so we were as much time in the water as much we could. Sun cream is recommended. The whole beach has a very narrow shore, there is not much space, so you will go right into the water, which is like I mentioned crystal clear, but later afternoon, close to the shore you can see the sun cream floating on the water. The water is not so deep and very clear so you can see the bottom. If you are at the Blue Lagoon, you must go to opposite island and caves. You can swim or just walk in the water to get there. Just follow the line of people and you will get there. When you are there, prepare the sand, the rocks will be very hot, and you will see a lot of salt like if it would snow. Very funny and hot also. There are a few small puddle with very warm water, you will enjoy it. If you go more further you will get into one of the caves of the Blue Lagoon, you can even swim into them, where the water slowly gets colder and the water is still clear. You can see huge rocks, fishes under the water. The rocks are mostly covered with algae and they are very very slippery with bare foot, so take care. Also you can climb and walk around, but if you don’t bring shoes with you, prepare that everything is very hot for the foot. It’s unbearable for longer time. We wasn’t able to fully explore this opposite island, because of the hot rocks. Our little company, can you see it?